All of our most informative and most popular accounts receivable factoring posts in one easy to find place. Online lending, often referred to as Fintech, is becoming increasingly popular and is a major disruptor in the world of finance. The reason for this is simple, these online lenders are filling a void for small and medium sized enterprises (SME's) who have always had a hard time qualifying for SBA or traditional bank loans. Even for SME's that do qualify for a loan from the bank, Fintech companies are able to approve loans in as a little as 24 hours whereas banks can take months to make a decision and provide funding. Of course, online lending has its drawbacks, and there are other financing solutions out there that can help SME's improve the cash flow quickly. Let's dive into the world of Fintech to understand how it works and what it entails. How do banks make funding decisions? Traditionally bank underwriters would require vast amounts of information in order to approve an SME for a loan. They would analyze sales records, business assets, accounting statements, and pretty much anything else they could get their hands on in order to make a decision. Oftentimes the decision process is slowed down as they request more and more information. At the end of the day, the bank underwriter is only looking at what a business has done in the past, and not looking at what they can do in the future. As a result, even if they do approve an SME for a loan, the amount will only be based on historical numbers and may not be enough to support future growth. Furthermore, since it is only based on past data, startup businesses are pretty much eliminated from receiving funding from a bank. How do online lenders improve the approval process? Online lenders have done away with underwriters reviewing accounts, instead they're underwriters have come up with complex computer algorithms that can measure if an SME qualifies for a loan, and how much they will qualify for. They do this by requesting access to a company's online banking platform and the EDI systems of their largest customers. By providing the Fintech company with login information to these various portals, the algorithms are able to work their magic and come up with an instant decision based on the data collected from these sources. Even startups can qualify as the algorithms would have rules built in for dealing with smaller amounts of data. The algorithms are of course designed to predict future potential growth, giving an SME access to the funds that they would need to grow. What are the drawbacks to online lending? Like all good things in life, there is a catch to online lending. Most of these companies are funded by venture capitalists or crowd sourcing, as a result, the investors are looking for very high returns on their investment. 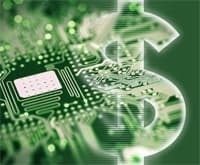 Fintech companies are also taking on more risk as they are allowing computer algorithms to make instant financing decisions, as opposed to a bank that would use a human underwriter to review an application in great detail. The combination of these factors results in much higher interest rates than you would get from alternative financing options. At the low end, Fintech companies may offer APR's around 30% for companies with strong financials, but for startups or struggling businesses, those APR's can be well over 100%. Furthermore, online lenders require you to authorize them to automatically withdraw funds from your bank account, a practice often associated with predatory lending. Based on the lender this can mean monthly withdrawals, weekly withdrawals, or in some cases even daily withdrawals. Furthermore, since you have provided them with access to your online banking platform, they have the ability to wipe out your account should you in anyway breach their contract. Another common practice of online lenders is to have steep penalties for early repayment of a loan. Where a bank would allow you to repay a loan early to avoid paying interest, online lenders are expecting you to be paying their exorbitant interest rates for the entire term of your loan. Those that don't have penalties for early repayment tend to charge you all of the interest up front when you take out the loan, so even if you were to pay off the loan early, it won't save you from having to pay interest. The other big problem with online lending is that it is entirely online. It is very difficult for you to pick up a phone and speak with someone at these large Fintech companies. Even if they do offer customer service, these companies are run by algorithms and it would be impossible for a customer service representative to offer you any actual help. So why is online lending so popular? By allowing computers to do the jobs that had traditionally been done by underwriters, combined with having those very same computers also withdraw funds directly from your checking account, online lenders have eliminated a lot of the expense involved with financing. They have also greatly increased the APR's for financing and have investors with very deep pockets. The combination of all these factors have allowed them to spend more money on marketing their products than traditional financing institutions have been able to do in the past. The result is that while many small business owners aren't familiar with banking alternatives, they are being bombarded with advertising from online lenders and are jumping at the opportunity to receive funding without first checking to see if they have any other options available. So what are the alternatives to online lending? There are alternatives to online lending that don't require you to work with a bank. Two of those alternatives are accounts receivable factoring and purchase order financing. While not every business will qualify for these services, businesses that sell to or provide a service for other businesses (B2B) do qualify. With accounts receivable factoring, businesses are able to turn their receivables into working capital without taking on any debt. Purchase order financing is a way of getting a short-term loan based on a purchase order so that you can pay your suppliers in order to fulfill your purchase orders. Accounts receivable factoring is a financial tool that allows you to sell your receivables to a factoring company at a discount. As a result, you are not taking on any debt because your factoring company is purchasing your receivables. Furthermore, you aren't just getting funded sooner on your receivables, but you are also outsourcing all of your collection work to your factoring company and, in the case of non-recourse factoring, getting insurance on your receivables. You also aren't taking on debt so there is no lengthy approval process. Instead your factoring company is checking out the credit worthiness of your customers, eliminating the need for you to subscribe to expensive credit agencies, and typically credit decisions can be made within half an hour of submitting a customer for credit approval. The discount for factoring your receivables can vary based on the terms of your receivables, but is very similar to a credit card processing fee. There are many factoring companies out there, all of who offer slightly different programs and rates. Another big difference between factoring companies is with their ownership. Some factoring companies are family-owned, small businesses just like yours, others are owned and run by major national banks, credit bureaus, gas station chains, or may be subsidiaries of overseas factoring companies. If having a personal relationship with your factoring company is important to you, and it should be, then it is important that you look at who the ownership of the factoring company is. While there are online lenders that offer "Fintech Factoring", in reality all they are doing is giving you a loan based on your outstanding receivables being used as collateral. They also do not provide you with credit checking or collections services, and it is with recourse, meaning that your receivables are not insured. Plus, they still charge you the same exorbitant APR's as other online lenders. Purchase order financing is a way of securing the funds necessary to pay your suppliers when you receive a larger than normal purchase order. Purchase order financing can either be used as a stand-alone product or can be combined with factoring to help fund your business. Either way, since purchase order financing is a short-term loan, the fees involved are higher than factoring, but still much lower than fees charged by online lenders. As a stand-alone product, purchase order financing has a rigid set of rules that can not be broken if you wish to receive funding. Common rules are that it is not available for a work-in-progress, you must have an overseas supplier, and the product must be shipped directly from your supplier in the foreign country to your customer in the US, that is it can't pass through your hands or the hands of any other third party. Typically, the way it works is that your supplier will be issued a letter of credit that they can then take to their bank and draw upon. Because it requires a bank to issue a letter of credit, it tends to be a lengthier process and could require several weeks to secure. However, if you combine purchase order financing with accounts receivable factoring, it is a very different story since you have built a relationship with your factoring company through the factoring of your receivables. Because your factoring company will ultimately be repaid when you factor the resulting invoice, there is no need to obtain a letter of credit from a bank. Purchase order financing rules become much more relaxed and funding is often available the same day you ask for it. Purchase order financing is more expensive than accounts receivable factoring, so if you can fund a purchase order through the factoring of other receivables then that is a better way to do it. However, for very large orders, if factoring can not provide you with enough funding, then purchase order financing can be a very useful tool in order to take on large orders and grow your business. How do I find the right form of financing my business? Only you know what is right for your business, but just like any other important decision, it is important that you research your financing options before signing up with a company. While it may seem easy to click on an ad on a web page and get instant approval to a loan or line of credit, there is usually a reason why it is so easy and why they have enough money to bombard you with advertisements all the time. When it comes to financing your business, make sure you research all the options out there. After all, you want a financing company that will be working for you, otherwise you will wind up working for your financing company. DSA Factors is a small, family-owned and family-run business. We have been providing accounts receivable factoring and purchase order financing for over 30 years to wide range of industries. We offer very competitive rates and the personalized service you would expect from a family-owned business. Give us a call at 773-248-9000 and one of our principals will be more than happy to speak with you about how we can help you grow your business. With so many factoring companies out there to choose from, picking the best factoring company for your business can seem a daunting task. However, knowing what sets factoring companies apart can make the process much easier. Here are some of the questions you need to ask when choosing the right factoring company for your business. What is the factoring fee? Is it a fixed rate or adjustable rate? Is the factoring with recourse or non-recourse? How much is held in reserve? What is the approval rate? What additional fees are there? How quickly can I get funded for my receivables? Do I need to factor all of my accounts? Are there minimum volume requirements? Is purchase order financing available? Who will be my primary point of contact? What online tools are offered? Do you work with my industry? What if I have a bank loan or line of credit? 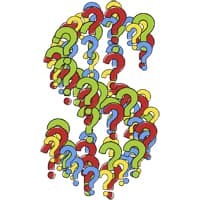 Perhaps the most important question to ask is what your factoring fee will be. In general fees are given as a percent of an invoices value. Factoring rates can vary based on the terms you offer your customers. Typically, factoring companies will quote rates for net 30 day invoices, so if you offer net 60 or net 90 it is important to let the factoring company know that. Of course, you don't just want to go with the company offering the lowest rate without analyzing what they are offering you. There are different types of rates, additional fees, and different services that each factoring company offers. Obviously, you want to get the best deal, but in the same way that you wouldn't just purchase the cheapest car on the lot at a car dealership, you also don't want to just sign up with the factoring company who offers you the lowest rate. For more details on factoring rates, check out our blog article How to Find the Lowest Rate for Accounts Receivable Factoring. At DSA Factors our factoring fees are very similar to a credit card processing fee. There are two different types of rates that factoring companies can quote you, fixed rates or adjustable rates. Adjustable rates are great for marketing as they sound incredibly low, while fixed rates are about 2% higher on average. However, don't be deceived by an incredibly low adjustable rate, there is hidden interest charges that you aren't being told about. The easiest way to understand the difference between these rates is to compare them to taking a limo or a taxi to the airport. A fixed rate is like taking a limo, you are quoted a higher rate but that rate will not change, even if you get stuck in traffic (or your customer doesn't pay on time). In general, with fixed rates, you also receive better service, just like you would expect from a limo. The only difference between fixed rate factoring and a limo is that limos tend to be more expensive than cabs, but fixed rate factoring tends to be cheaper than adjustable rate factoring. Adjustable rates are similar to taking a cab. The rate that is quoted to you is basically the same as the flag fall, it is simply the minimum amount you have to pay to factor an invoice. Then, the meter will start running, either from the day your factoring company funds you, or the date of the invoice. The meter stops once your factoring company gets paid by your customer and the payment clears their bank, typically an additional ten days from when they receive payment. So while the initial rate may seem very low, the actual rate is much higher, especially if you get stuck in traffic (or your customer pays late). Just like a dishonest cab driver, there are even some factoring companies that will allow a skipped invoice to go 30-60 days beyond terms before contacting your customer since you will be paying the interest on it. To better understand the similarities and differences between these different rate structures, please read our article Fixed Rate vs Adjustable Rate Accounts Receivable Factoring. At DSA Factors we always offer fixed rate factoring so you always know exactly how much factoring will cost you and you will get the lowest rate. Recourse vs non-recourse factoring is perhaps one of the most important details you need to look at when choosing a factoring company. With non-recourse factoring, your factoring company is providing you with credit insurance on your receivables. This means that if one of your customers is unable to pay, it is your factoring company who is out the funds. If you are factoring with recourse and a customer is unable to pay, then your factoring company can request that you return the funds that they advanced to you. Typically, non-recourse factoring is only available to wholesalers and not to service providers, however not all factoring companies offer non-recourse factoring. You can learn more about non-recourse factoring by reading What is Non-Recourse Factoring? At DSA Factors we offer non-recourse factoring to our wholesale clients. Reserve is funds that your factoring company holds back until they receive payment from your customer. Typically, factoring companies will hold back between 10%-20% of the invoices value in reserve. Oftentimes this is advertised as an advance rate of 80%-90%. If 10% is held in reserve, then the advance rate is 90%. The reason for reserve is to cover your factoring company in case a customer takes deductions. Even with non-recourse factoring, while your factoring company is offering you credit insurance, you are still responsible for customer satisfaction. Choosing a factoring company with a low reserve rate, or high advance rate, is important if you are relying on factoring to improve your company's cash flow. You can learn more about reserve and advanced rates in our article Factoring Your Receivables at a High Advance Rate. At DSA Factors we want to help your cash flow as best we can so we are proud to offer a 90% advance rate. In order to factor an invoice, your factoring company must first approve your customer. Factoring is not a loan, your factoring company is purchasing your receivables, so your factoring company is actually extending credit to your customers. As a result, before you can factor an invoice, your factoring company needs to first look up your customer to determine whether or not they are credit worthy for the amount of the order. Partnering with a factoring company who offers high approval rates is important because if your factoring company turns down an order, then you won't be able to sell to your customer. While approval rates can vary from industry to industry, in general here at DSA we have a 95% approval rate. Although most accounts that get turned down are because they are past due and later get approved once payment is made. Most factoring companies will charge you additional fees in addition to the normal factoring fee. While they should be upfront with you about these fees, they may not tell you about them unless you ask. Most factoring companies will charge a transaction fee when they fund you, and this fee can vary based on the payment method (check, ACH, or wire). However, your factoring company may also allow you to hold onto invoices for several days so that you aren't paying them transaction fees every day. Some factoring companies charge fees for credit approvals or setting up new customer accounts. Most factoring companies also charge an application fee, and it is important to know if this is a one time fee at the start of your relationship or if it is charged each time you renew your contract. Monthly or annual fees are also not uncommon. Some factoring companies may even require you to pay for other products they offer even if you don't use them. Even if a factoring company offers you a very low rate, if they are charging too many fees then the actual factoring rate may be much higher. It is important that you work with a factoring company that does not charge you lots of fees. At DSA Factors we do charge transaction fees for payments made via ACH or wire, but there is no fee for payment made by check. We also have a one time application fee that is required only at the start of our relationship. Most factoring companies can fund you in as little as 24 hours, although some may take longer. If you are relying on factoring to improve your cash flow, then you need to partner with a factoring company that offers a quick turnaround time. At DSA Factors, if we receive your invoices by noon Central time we can fund you the same day for them, invoices that come in after that get funded the following business day. For new clients, we can get you set up and start funding you in as little as 24 hours. Some factoring companies require all of your business to be factored while other factoring companies allow you to choose which accounts you want to factor. If you have good accounts that consistently pay you early for your invoices, or prefer to pay with credit card, then you may not want to factor them. When a factoring company allows you to choose which invoices get factored, this is known as Spot Factoring. Even if you plan on factoring all your accounts, it may be a good idea to partner with a factoring company offering spot factoring since your needs may change in the future. At DSA Factors we offer spot factoring to all of our clients, allowing you to choose which accounts you wish to factor. Many factoring companies have minimum volume requirements, meaning that you are required to factor a certain amount of invoices in a particular period of time. For example, they may require you to factor $500,000 per year or $50,000 per month. If you do not reach these volumes, then they will charge you an additional fee based on the difference between the minimum volume and your actual volume. Oftentimes these minimum volume requirements are prohibitive to startups, smaller companies, and seasonal industries. It is important that you ask about minimum volume requirements as they typically are not advertised. At DSA Factors we never have any minimum volume requirements, and we are always happy to help out startups and small businesses. Many factoring companies will lock you into a 1-year or multi-year contract. During that time, you will not be able to switch factoring companies, stop factoring, or receive a loan from a bank without being required to pay additional fees to break the contract. If your volume decreases during the term of the contract and your factoring company has minimum volume requirements, then you may be liable for paying these fees as well. Many of these contracts automatically renew if you do not notify the factoring company within a specified period of time, and many factoring companies charge renewal fees. It is important that you find a factoring company that doesn't have a term to their contract so that your business has the flexibility that it needs to adapt to changes. At DSA Factors, our contract has no term to it, you can stop factoring after 3 months, or factor for 20 years or more without ever having to sign a new contract. Some factoring companies offer purchase order financing in addition to accounts receivable factoring. Purchase order financing provides you with a short term loan so that you can pay your suppliers in order to fulfill a large purchase order. While factoring provides you with improved cash flow, it is limited by how much you have in open receivables. If that is not enough to cover a large purchase order, or it would prevent you from selling to other customers while that order is being produced, then you may wish to consider using purchase order financing as well. PO financing is more expensive than factoring, and it is debt, but if you can't fulfill a large invoice and grow your business with factoring alone, then it can become a very valuable tool. PO financing companies will be unable to work with you while you are factoring, so if you want to do both you need to work with a factoring company who also offers PO financing. At DSA Factors we offer PO financing to our clients and will work with them to minimize the expense of PO financing. Most factoring companies are owned by banks or international corporations. However, there are still a handful of smaller, family-owned factoring companies. The difference of course is whether you will be dealing with an account manager or principal of the business. As you can probably imagine, a small, family-owned factoring company will provide you with much better customer service, and a principal will be able to do a lot more for you and work with you in ways that an account manager would not be able to. If you are a startup, small business, or growing business, it is probably very important that you work with a small, family-owned factoring company as they will be able to provide you with the flexibility and personal attention you need to grow your business. As a small, family-owned business, whenever you call DSA Factors you will always be able to speak with one of our principals. These days almost all factoring companies offer you an online portal. It is important that you understand what exactly is offered through the portal. The most common offering is allowing you to request credit approvals, and some companies may even offer automatic online approvals. Reporting is also usually offered online, such as real time aging statements, or the ability to pull remittance on past payments. Your factoring company may even offer your customers the ability to make payments online. Even if you still may prefer to speak with your factoring company over the phone, it is important to know what types of conveniences they offer through their web portal. At DSA Factors we offer all of these features and more, best of all, if there is something you would like to see on our portal, you can tell Ben and he will try his best to make it available to you. Perhaps one of the most important things to ask a factoring company is if they work with your industry. If they don't then perhaps they may be able to refer you to a company that does. While most factoring companies work with a wide variety of industries, there are some specialized industries such as construction, medical, and government work that require specialized factoring companies. At DSA Factors we specialize furniture, bedding, giftware, housewares, textiles, apparel, and food, but also work with service providers and many other industries. Having a bank loan or line of credit will definitely make it difficult to work with a factoring company, but it is still possible. Typically, banks will place a lien on all of your receivables, making it so a factoring company is unable to purchase them. However, some factoring companies are willing to work with banks by creating an intercreditor agreement allowing them to factor either select invoices or all of your invoices. If you have a bank loan or line of credit you should inform any factoring company that you speak with about it to see if they are willing and able to work with your bank. Just keep in mind, just because a factoring company is willing to work with a bank, does not mean that a bank is willing to work with a factoring company. At DSA Factors, we're always happy to work with your bank on an intercreditor agreement. Some of the banks that we have successfully worked with in the past include Chase Bank, M & T Bank, and National Bank of Canada. There are many different financing options available to businesses that could use improved cash flow. Two of the more popular options are purchase order financing and accounts receivable factoring. Often times PO financing and factoring are considered alternative financing options, as the process is much faster and easier to obtain than a traditional SBA loan from a bank. While these two methods are related, have similar benefits, and often times can even work together, they still are very different forms of financing. While both purchase order financing and accounts receivable factoring are great ways of improving your cash flow, the main difference is when you receive the improved cash flow. With PO financing, you receive funding to pay your suppliers with once they provide you with a purchase order. With factoring you get funded once you invoice your customers. Since the money is out longer, and isn't backed up by a receivable yet, PO financing is typically more expensive than factoring. However, for very large purchase orders, traditional accounts receivable factoring may not be able to provide you with enough cash flow to pay your suppliers so that you can fulfill the purchase order. In these situations purchase order financing may be necessary. As a general rule, accounts receivable factoring is a better way to maintain healthy cash flow for your business, while purchase order financing should be used for extremely large purchase orders. Another big difference between purchase order financing and accounts receivable factoring is whether or not you are taking on new debt. In the case of factoring you are not taking on any new debt, instead you are selling your receivables at a discount in order to get improved cash flow. With PO financing, you are taking on new debt. PO financing provides you with a loan based on a purchase order. This loan can get paid off if you factor the resulting receivable, or once your customer pays you for the resulting receivable. However, it is still a loan that uses the purchase order, and resulting receivable, as collateral. As a result, you are taking on new debt with purchase order financing. Since accounts receivable factoring and purchase order financing are both alternative forms of lending, they don't come with the strict credit limits that a traditional loan from a bank would assign you based on your company's credit. Accounts receivable factoring is probably the only form of financing that does not come with any credit limit. With factoring there is no limit to how much your factoring company can advance you. Since factoring is an ongoing relationship, as your receivables grow so does the advance you receive. Factoring is based on your customers' ability to pay, not your own. With purchase order financing, it is typically looked at on a case by case basis and the amount of the advance is limited to a certain percent of the purchase order's value. So similar to factoring, the larger the PO, the larger the loan. However, you will not receive one hundred percent of the purchase order value. Whether or not you receive credit insurance is another difference between purchase order financing and accounts receivable factoring. If your factoring company offers non-recourse factoring, then that means that you receive credit insurance when you factor an invoice. With purchase order financing, since there is no receivable yet, you are not receiving credit insurance. That said, if your customer you are looking for PO financing on is not credit worthy, then their purchase order may not qualify for PO financing. On the other hand, once a purchase order is fulfilled and invoiced, by factoring the invoice you will receive credit insurance on it. When you factor an invoice, you are doing much more than just receiving an advance and getting credit insurance, you are also outsourcing your accounts receivable. Your factoring company will perform all of the credit checking as well as collection work. This can result in significant cost savings as you will not need to subscribe to expensive credit agencies and also may allow you to avoid hiring extra employees to manage your accounts receivable. With purchase order financing, most likely the company providing you the funding will still run credit checks on your customer, they do not manage your accounts receivable for you. You are still responsible for sending out account statements and making collection calls. Should I Use Purchase Order Financing or Accounts Receivable Factoring? There is no clear cut answer to this question, it depends on your needs. For most small to medium sized businesses accounts receivable factoring is not only more cost effective but also provides you with additional service such as credit insurance and accounts receivable outsourcing. However, while factoring allows you to maintain healthy cash flow, it may not provide you with enough cash flow if you need to pay your suppliers to fulfill a larger purchase order. In these situations purchase order financing may be necessary. At DSA Factors we actually recommend using accounts receivable factoring to maintain healthy cash flow and reduce costs. The cash flow you receive from factoring may provide you with enough funds to avoid needing purchase order financing. However, you may still use purchase order financing from time to time as needed. As a result we offer our factoring clients the ability to obtain PO financing when needed. While there are companies that only provide purchase order financing, they often times may take a week to a month or more to provide you with funding. Typically they only work with foreign suppliers and finished products that are being shipped directly to your customers from overseas. Their interest rates tend to be variable and often times higher than what a factoring company might offer you on a similar loan. By factoring your invoices and having your factoring company provide you with purchase order financing as necessary, you will most likely receive a better rate and a quicker response when you need purchase order financing. At DSA Factors we make PO financing decisions in a matter of minutes, and can fund you the same day you call us about a PO. We also don't require you to work with foreign suppliers, we don't require you to be purchasing finished products, and you can ship to your customers yourself. Because you are shipping to your customers yourself, if the order isn't for a full container, you will be able to fill up the container with additional merchandise for smaller PO's or just for inventory. Since we will also be factoring the resulting invoice for you, we can also offer you a lower interest rate on the loan you receive and reduce the time that the loan is out for. Plus you get all the benefits that come with factoring, credit insurance and accounts receivable outsourcing. Another benefit to working with an accounts receivable factoring company is that by factoring invoices on a regular basis, you are developing a healthy working relationship with a financial partner. In the future, as your company's needs change, your factoring company may be able to offer you additional services to facilitate growth. By securing purchase order financing through a PO financing company, it is typically a one-time deal, and you don't get the opportunity to develop a working relationship with them. To learn more about how accounts receivable factoring and purchase order financing can be used together to help grow your business, give DSA Factors a call at 773-248-9000. We are a family owned and operated business that works with clients nationwide. Whenever you call DSA, you will always be able to speak with a principal, whether it is Ben, Max, or Howard Tolsky. With over 30 years experience offering factoring and PO financing to our clients, we have money to make your company grow! There are two different types of rates that most factoring companies quote potential clients these days, fixed rate (or flat rate) and adjustable rate. These terms should sound familiar to anyone with a mortgage, and surprisingly they aren't all that different in the world of factoring. In the world of mortgages, a fixed rate remains the same for the entire 30 year life of the mortgage, while with adjustable rate mortgages you get a teaser rate for the first 3, 5, or 7 years and then the rate goes up on you. In the factoring world, a fixed rate means that the rate you are quoted is the rate you pay for the life of the invoice, you don't pay any interest, even if your customers pay their invoices late. With adjustable rate factoring, you are offered a low teaser rate, but you wind up paying interest for as long as it takes your customers to pay back your factoring company. Just like with mortgages, getting a fixed rate costs more than an adjustable rate, but in the long run it will save you money. At DSA Factors we have had a number of companies ask us about adjustable rate factoring over the last few years, but upon doing the math, all of them have chosen to go with fixed rate factoring, which we have been offering to our clients for over 30 years. How does adjustable rate factoring work? Adjustable rate factoring offers you a very low base fee for factoring invoices, often times it can be less than even 1%, but like most things in life, if it's too good to be true it probably is. Once your factoring company funds you for the invoice the clock starts ticking and you start getting charged interest from that time until payment is received for the invoice by your factoring company. They will also add another 5-10 days worth of interest as they wait for the check to clear the bank. What are the advantages to adjustable rate factoring? Adjustable rate factoring can be beneficial if your customers pay like clock work and pay early. It also can be beneficial if you don't need immediate cash flow. If you can hold onto your invoices for a few weeks before submitting them to your factoring company to get paid, you can potentially save quite a bit of money as your factoring company won't have the invoices for very long before they get paid. Of course in both these situations you are missing out on one of the primary benefits of factoring, improved cash flow. What are the disadvantages to adjustable rate factoring? Besides the fact that you can face some pretty steep interest charges on your slow paying customers. Your factoring company has little motivation to collect payments for invoices in a timely fashion. If a good customer misses an invoice, which we all know happens from time to time, your factoring company may not bother to notify them until the invoice becomes 30 or even 60 days past due since they can charge you more interest during this time. How does fixed rate factoring work? Fixed rate factoring is very simple, you are given a rate based on the payment terms of the invoice, and that is the fee you pay regardless of how long it takes your customers to pay for your invoice. While it is true that it will cost more to factor a net 60 day invoice than a net 30 day invoice, you will not be charged any additional fees if it takes a customer 60 days to pay a net 30 day invoice. At DSA Factors we have always offered fixed rate factoring, and while it may be harder to sell the higher rate to prospective clients, we find that it is a much more honest and cheaper option. As a result we have clients who have been factoring with us for over 20 years. What are the advantages to fixed rate factoring? Besides the fact that you aren't being charged interest for slow paying customers, with fixed rate factoring it makes your accounting much simpler as you always know what factoring will cost you and you can easily build the cost into your prices. Plus, since your factoring company does not benefit from late payments, they have more reason to collect in a timely fashion. As a result, they are less likely to turn down reorders due to an account being past due. What are the disadvantages to fixed rate factoring? If your customers pay early you still pay the same factoring fee. However, if you have customers who consistently pay early, for example if they have 2% 15 net 30 terms, DSA Factors would be willing to work with you to put together an early pay discount program for these customers. How do I choose which factoring rate is right for me? A good way of thinking about adjustable rate factoring is that it is a lot like taking a cab, you have a small flag fall but the meter keeps running until your factoring company gets paid. With fixed rate factoring, it is a lot like taking a limo, you know the price going in, and the service is usually better as well. But don't worry, whichever route you choose, you don't need to give your factoring company a tip! At DSA Factors we have run reports for our clients showing them what their fee would be with adjustable rate factoring, and while it typically is very similar, flat rate factoring has always proven to be the cheaper option. If you would like to learn more about adjustable vs flat rate factoring please give DSA Factors a call at 773-248-9000 and we would be happy to talk to you about it. We would even be happy to run an analysis on your payment data to see which option would work best for you. For most small business owners, obtaining a line of credit from a bank has never been easy. In recent years a number of technology companies have discovered this problem and it has led to the emergence of fintech, a form of online lending. However, what many small business owners don't realize is that there is another alternative to the banks, which is factoring. Factoring companies however offer a whole lot more than the fintech companies, but also have much more experience and knowledge, better customer service, and typically cost less. Fintech companies provide their customers, who don't qualify for a small business loan from a bank, with short-term, high-interest loans using their receivables as collateral. Because they are using receivables as collateral, companies such as BlueVine claim that they provide accounts receivable factoring, but really they are just providing their customers with a loan. Other companies like Fundbox claim they provide invoice financing, which they differentiate from factoring. While it is true that they do not provide factoring, what they don't realize is that invoice financing and accounts receivable financing mean the same as factoring. This demonstrates a very big difference between fintech and factoring. These fintech companies are really young IT start-ups with little or no experience in the industries that they serve; in fact, they may not even know basic industry terms. Factoring on the other hand has been around for hundreds of years, even Christopher Columbus used factoring. While most factoring companies haven't been around quite that long, they all have quite a bit of experience and a background in the industries that they serve. For example, DSA Factors started off as the consumer finance arm of a retail furniture store under the same ownership. Eventually they decided to start offering factoring services to furniture and bedding wholesalers who they bought from. As the factoring business grew they started expanding out to other industries such as giftware, housewares, apparel, and trucking. Now, having factored for over 30 years, they are still helping small and medium sized businesses grow. While the goal of both fintech and factoring is to help you improve your cash flow, perhaps the biggest difference between fintech and factoring is how they accomplish this. A fintech company provides you with a loan, meaning you are taking on debt. Furthermore, the loan has a very short term and if you offer extended terms, such as net 90 days, to your customers, it is quite possible that the loan will become due before you receive payment on the invoice that was used as collateral. With factoring, the factoring company is purchasing your accounts receivable, or invoices. The funds you receive from a factoring company are yours to keep and spend however you like. Even if one of your customers pays late, you don't need to worry about paying back the funds you received. Of course services provided are another really big difference between fintech and factoring. Fintech companies seem to pride themselves on how they will never contact your customers; they seem to think that you will appreciate this. However, all that this means is that if your customers don't pay them, they will come after you. With fintech you still need to stay on top of your accounts receivable and send out statements and make collection calls. For a small business this means that the owner typically needs to spend a lot of time just trying to get paid by their customers. For medium sized businesses you will probably need to hire another employee just to manage your accounts receivable, meaning additional payroll. With factoring you are outsourcing your accounts receivable. Factoring companies have already invested heavily in the software necessary to manage A/R, and are able to do so because they manage A/R for many clients. They have professional and courteous collectors who are able to make the phone calls for you. Plus, because your customers may purchase from several other vendors who factor their receivables, a factoring company has a lot more leverage in collecting from a customer who may not be willing to pay. The fintech companies try to scare you by saying that factoring companies can ruin your relationship with your customers, but this couldn't be further from the truth. Factoring companies are not collection agencies, they understand the importance of the relationship you have with your customers, after all, they have a similar relationship with you. As a result, your factoring company provides your customers with gentle reminders that payment is due, and always treats your customers with the respect they deserve. Another big difference between fintech and factoring is the insurance they provide. With Fintech you receive no insurance on the invoices you put up as collateral, if the invoices don't get paid, you still have to pay back the fintech company. However, many factoring companies, such as DSA Factors, provide non-recourse factoring, meaning that you are insured in the situation where one of your customers is unable to pay due to financial problems. Furthermore, since your factoring company is insuring your receivables, they also handle all of your credit checking for you, meaning that you don't need to subscribe to expensive services such as Dun & Bradstreet. While it is possible to purchase credit insurance separately, it of course comes with additional fees, and typically only covers large orders for very creditworthy companies such as Amazon or Walmart. If your customers are mom and pop stores, or your invoices are smaller than five or six figures, credit insurance is not something that is readily available to you. Of course, for many small companies simply getting funded for your invoices isn't enough. For a company that has just received their first six figure purchase order, it may be very difficult to put that order together. To make matters worse, if you are unable to accept such a large order, it is unlikely that the company placing the order will come back to you in the future. If you manufacture in China you typically need to put 30% down to start production and then a month later when production is complete, pay the remaining 70% to get the merchandise put onto the boat. It will be another month before the container arrives in the US and you are able to ship and invoice your customers, and a fintech company will not provide you with a loan until you do so. For service companies you may need to hire additional labor and will need to meet payroll long before you complete the job and invoice your customer. If use fintech for your financing they won't lend you the capital in advance, and you won't be allowed to take out a loan with a bank. However, many factoring companies, such as DSA Factors, will provide their clients with purchase order financing, which is a short term loan based on the PO so that you can fulfill a large order. Finally there is one more major difference between fintech and factoring companies, and that is customer service. Fintech companies are all about technology; they integrate with business software such as QuickBooks, and believe that customer service is about giving their customers fancy online tools. Of course this means that you too need to use QuickBooks or whatever other software they may integrate with. Factoring companies on the other hand realize that a big part of doing business is developing a relationship with the people they work with. Perhaps factoring companies don't offer all the fancy technology and software integrations as the fintech companies do, but they aren't dinosaurs. Nearly every factoring company has an online portal where their clients can login, request approvals, and view a variety of reports. While there are some large bank-owned factoring companies, there are also plenty of family-owned factoring companies such as DSA Factors. At DSA Factors you can always call and speak with a principal, no need to deal with account managers or low-level employees who can only answer simple questions. As a result, factoring companies are able to work with you creatively and aren't restricted to just the 1's and 0's of the digital fintech world. When it comes to financing your small business it is important that you look at the big picture. While fintech may be new and exciting, you get a whole lot more with factoring. Plus, with factoring you most likely will save money as well! If you would like to give factoring a try, call DSA Factors at 773-248-9000 and either Ben, Max, or Howard will be available and able to help you. There is no obligation or long-term commitment, and you can start receiving funds in as little as 24 hours. Start growing your business today with a time-tested and proven method that works, accounts receivable factoring. There has been a lot of talk in the news about fintech (financial technology) lately. Certainly there is a lot to be said about alternative approaches to financing over more traditional methods offered by the banks. However, accounts receivable factoring has always been an alternative financing method over what the banks offer, and has a long track record of success. In fact, many of the fintech companies even offer factoring programs, but they tend to be bare bones versions of factoring that only offer some of the benefits gained by factoring, and oftentimes even charge higher rates than traditional factoring companies. The factoring industry has been around for a long time. It was well established in Europe when the original colonists brought it over to America. In fact, the king and queen of Spain offered a form of factoring to Christopher Columbus when he wanted to set sail for the "New World". While this may seem antiquated in our modern technology driven world, the fact is that most factoring companies do take advantage of modern technologies, offering most of the benefits of fintech, but with much more experience, a proven track record of helping to grow small to medium sized businesses, and much lower rates. To see the difference, the chart below compares traditional factoring with DSA Factors to similar programs with PayPal Working Capital, Bluevine, and Fundbox, three of the more popular fintech companies offering similar programs to invoice factoring. Take on New Debt No, the funds DSA provides you with are yours to keep. Yes, PayPal is offering you a loan, so you are taking on new debt. Maybe, if your customers don't pay BlueVine, they will require you to pay them back after 90 days. Yes, Fundbox is offering you a loan, so you are taking on new debt. Credit Limit No, with DSA Factors we will fund you for all of your receivables. Yes, the lesser of 18% of your annual sales on PayPal or $97,000. Yes, $20,000 to $500,000 based on your company's credit. Yes, $25,000. Based on Your Credit No, since DSA is giving your customers a line of credit, credit decisions are made based on your customer's good credit. No, the loan amount is based on your annual sales volume with PayPal. Yes, BlueVine will assign you a credit limit based on your credit worthiness. Yes, Fundbox determines your credit limit based on your credit worthiness. Charges You Interest No, DSA offers a flat rate factoring fee. Yes, the interest is charged to you up front when you get a loan, regardless of how long it takes to pay the loan off. No, BlueVine also offers a flat rate program, but at 10-15% their rates are at least triple or quadruple the rate that DSA offers. Yes, based on the size of the loan, Fundbox may charge you anywhere from 5-12% over the course of a 84 day loan. Term Limit No, DSA Factors has no problem working with extended terms. Yes, PayPal requires you to pay back 10% of the loan every 90 days, with the full amount due in 540 days. Yes, if payment has not been received after 90 days, you are required to pay back BlueVine. Yes, you must pay off the loan in 12 weekly installments. Collections Outsourcing Yes, DSA Factors handles all of your collection work. No, your customers must make payments through PayPal, but PayPal does not help with collections. No, your customers are required to make payments to a BlueVine drop box or bank account, however BlueVine does not help you collect. No, Fundbox does not handle collections for you, it is strictly a loan that you need to pay back. Insure Your Receivables Yes, with DSA's non-recourse factoring your invoices are insured against non-payment. No, PayPal only does payment processing for you. No, if an invoice has not been paid after 90 days of being funded for it, you are required to pay back BlueVine. No, Fundbox is strictly a loan that must be paid back in 12 weekly installments. Choose Which Invoices You Factor Yes, DSA Factors does not require you to factor all of your receivables. No, a percentage of all payments made through PayPal will be applied towards your loan. Yes, you can choose which invoices you want to get funded on. Yes, however there is a $100 minimum in order to get funded for an invoice. Minimum Volume Requirement No, at DSA Factors you are not required to factor a certain amount, and there are no annual fees. Yes, PayPal requires you to pay back 10% of the loan every 90 days if you aren't doing enough volume. No, BlueVine does not require you to fund a minimum amount each year. No, Fundbox does not require you to draw a minimum amount each year, however, they will not fund you if an invoice is worth less than $100. Long Term Commitment No, with DSA Factors you can stop factoring at any time, but since many of our clients have been with us for over 20 years, we don't think that you will want to stop. No, once your loan with PayPal is paid off you can start looking for alternative sources of financing. No, BlueVine allows you to stop drawing on your line of credit at any time, but you will need to pay them back for any invoices that they have not received payment on. No, once you have paid off your loan with Fundbox, you are free to pursue other financing options. Charge Payment Processing Fees No, DSA will never charge you for processing a payment. Yes, you are required to accept payments through PayPal and pay their payment processing fees. No, although BlueVine will funnel all payments into their account without your customers knowing that BlueVine is receiving the payment. N/A, Fundbox does not process payments. Available Technology DSA offers its clients an online portal where they can get automatic approvals, view agers, remittance reports, and other reports in real time. Your customers may also go online to make payments. With PayPal you get a loan online and customers make payments online. BlueVine requires the use of Quickbooks or similar software to get funded. Fundbox requires the use of Quickbooks or similar software to get funded. Good Old Fashioned Service As a family owned and operated business, you can call DSA at any time and speak with a principal who can come up with creative solutions to help grow your business. PayPal doesn't even list a phone number on their web site. BlueVine may have a phone number, but it is doubtful that you will be able to speak to anyone who can actually help you. Fundbox may have a phone number, but it is doubtful that you will be able to speak to anyone who can actually help you. As you can see, traditional accounts receivable factoring with DSA Factors offers all of the benefits that the fintech companies offer, along with many more. You still get an online portal where you can efficiently do business and your customers can make online payments, but you also can pick up a phone and speak with one of our principals at any time. As a result, we can come up with creative solutions for your business that might not fit into a fintech company's software, such as purchase order financing. So if you are looking for ways to finance your business, go with a time-tested method that works, accounts receivable factoring. Give DSA Factors a call today at 773-248-9000 and we can be funding you in as little as 24 hours. If one number is all that mattered, then every business would work with the same factoring company that gives the lowest rate. However, a lot goes into a factoring rate and it's important that you understand exactly what that rate means. There are a lot of different accounts receivable factoring companies out there, and for most businesses looking to factor, the biggest concern is how much factoring will cost them. While a low factoring rate is very important, it is also important to make sure that when you get two different rates that you are comparing apples to apples. It isn't only looking at services such as advance rates, approval rates, or recourse vs non-recourse, but also looking at fees and interest charges. So while you could call five, ten, fifteen, or even twenty factoring companies to find out their rates, it might not be so clear-cut as to which company is the cheapest and provides the best service. This article will show you how to find the best factoring company for your business. There are two different types of rates that a factoring company may charge you. The most popular type of factoring these days is adjustable rate factoring. With adjustable rate factoring the factoring company will offer what seems like an impossibly low rate, they may advertise anything from .5% to 1% as a base rate for factoring your invoices. However, they will then charge you interest from the day they advance you the money until payment is received and then they will add an additional 10 days for payment to clear the bank. The way that this interest is computed can vary, but it is most common for factoring companies to use blocks. A block may be a period of 10, 15, or 30 days. For each block that passes, the factoring company will charge you an additional fee. For example, if a factoring company offers a .5% base rate and uses 15 day blocks and charges 1% for each block, this how you would be charged for factoring an invoice. Lets say the invoice is purchased on July 1st, then you will be charged the base rate of .5% for factoring on that day, in addition you will also be charged 1% for the first 15 day block. On July 15th if payment has not been received yet and cleared the bank, then another 1% will be charged for the 2nd 15 day block. Lets say payment is received August 10th, you will be charged another 1% on July 30th, and on August 14th, since the factoring company is still waiting for the funds to clear the bank, you will be charged a final 1%. As a result, your overall costs for factoring the invoice will be 4.5%. With a flat rate factoring program your factoring fee is much easier to compute. If you are offered a rate of 4% then that is exactly how much money you will pay for factoring the invoice, regardless of how long it takes your customer to pay your factoring company. While the base rate may appear much higher with flat rate factoring, the actual rate you pay to factor an invoice is typically lower, especially if your customers don't pay their invoices early. While the overall rate may be the main reason why you choose to go with an adjustable rate or flat rate for your accounts receivable factoring, it is also important to consider the service that goes along with these two different rate structures. With an adjustable rate, the longer it takes your factoring company to get paid, the more money they make. As a result, an adjustable rate factoring company has little motivation to collect from your accounts until they start to become seriously past due. With a flat rate factoring program, your factoring company is very motivated to collect from your accounts when the invoices become due. This motivation to collect doesn't just affect how much you pay for factoring, but can also affect if future orders from your customers get approved. If a customer is past due on your invoices, then they won't get approved until they catch up. As a result a factoring company with an adjustable rate may not be able to get you approvals in a timely fashion causing your customers to become upset. Perhaps the most important reason why companies want to factor their invoices is because of the advance that provides them with the improved cash flow they need. When choosing a factoring company, the most important question should be if they provide an advance and how long it takes. Most factoring companies should be able to provide you with an advance on your receivables within 24 hours, or even the same day. A factoring company who is offering you rates to good to be true may not be providing you with an advance. After that you need to look at the rate of advance. All factoring companies hold back money in reserve, but some companies hold back more than others. However, rather than advertise how much they hold back, factoring companies prefer to advertise how much they advance. So if a factoring company holds back 10%, then they have an advance rate of 90%. Advance rates can vary anywhere from 75%-90%, so it is important to make sure that you are getting a high advance rate. Another benefit of factoring is the insurance that it provides on your receivables. A company that offers non-recourse factoring will insure your receivables against non-payment for financial reasons, meaning for example, that you will not be on the hook if a customer of yours goes bankrupt. However, if your factoring company only offers recourse factoring then they are not providing you with any insurance, and you will be have to pay them back if one of your customers files for bankruptcy. Because a factoring company may be insuring your receivables, they are also assuming some risk. How much risk they are willing to take can vary. As a result it is important that you choose a factoring company with a high approval rate. It is also important to learn about how your factoring company assigns credit limits. It is important that your factoring company assigns your customers a credit limit based strictly on your business with them. Some factoring companies assign a single credit limit to a business that applies across all of their clients, as a result, if another client has orders that reach that credit limit, your orders will get turned down until that other client's invoices are paid off. Of course the last thing you want is to get a bill from your factoring company asking you to pay a bunch of hidden fees. Many factoring companies may charge you fees for day-to-day operations such as running a credit report. Other companies may charge you annual fees or fees for not meeting minimum volume requirements. While some companies may lock you into a long-term contract and will charge you fees if you choose to stop factoring or want to change factoring companies. Another thing to consider is whether you are required to factor all of your accounts. Some factoring companies will require you to factor all of your accounts, including ones that pay on credit card, meaning that you will be forced to pay factoring fees even on accounts that you don't factor. It is important that you look at these fees as they of course affect the overall rate that you are paying to factor your receivables. Finally, the last thing you need to look at it is the service and benefits that your factoring company can provide you with. When it comes to service, many larger factoring companies will treat you simply as a number and assign you to an account manager who may not be able to make difficult decisions. Often times these larger factoring companies are owned by banks or are headquartered overseas, meaning that it may take them a long time to make simple credit decisions. With smaller factoring companies, and especially family owned companies, you will always be able to speak with one the companies principals, and quick turn-around times on credit decisions or anything else are another advantage that they offer. Of course, sometimes you need a little bit more than just factoring, so it is important to look at some of the other benefits factoring companies may offer. Sometimes when you get a large order from a major retailer you may need a little extra help fulfilling the order. As an importer you may need to pay the overseas factory to start production, and certainly they will want payment in full before a container is released. As a manufacturer you may need funds to purchase additional materials so that you can start production. Whatever the case may be, some factoring companies offer purchase order financing, which is basically a short term loan based on the purchase order so that you have no problem getting the order fulfilled. Even if you don't need purchase order financing right now, it is important to choose a factoring company that offers it to their clients as you never know if you one day may need it. Some factoring companies may even offer their clients small business loans in addition to factoring services. If you might need a loan from time to time, whether you need to pay to attend a trade show, or you are developing a new product line, it is nice to know that your factoring company may be able to help you out. Since you will have established a working relationship with your factoring company, they will be much more likely to offer you a loan than a bank, and will also make a decision much quicker. As you can see, there is a lot that goes into choosing the right factoring company for your business. At DSA Factors we offer low, competitive, flat rate factoring fees with the personalized service that you would come to expect from any family owned and operated business. Our clients receive non-recourse factoring with a 90% advance rate. Furthermore, we have an approval rate of over 95% and most companies get approved instantly when submitted on our web page. We have no hidden fees, no minimum volume requirements, and no long term commitments. We also offer purchase order financing to our clients and have offered small business loans to clients who we have developed a working relationship with. DSA Factors is well known throughout the factoring industry as one of the best companies to work with, earlier this year we were named by Factoring Club as the Best Micro Factoring Company for 2016. If you are looking for a factoring company to help grow your business, give DSA Factors a call at 773-248-9000, and find out just how easy factoring can be.